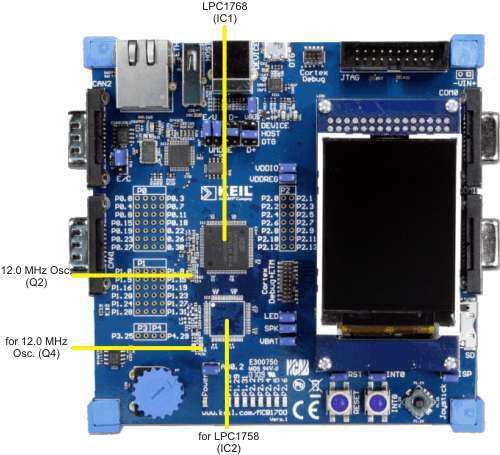 The NXP LPC1768 microcontroller (IC1) provided with the MCB1700 board is a high-end LPC17xx device with advanced ADC, CAN and USB capabilities. A 12.0 MHz crystal (Q2) provides the clock signal for the CPU. Locations IC2 and Q4 are used instead of IC1 and Q4 when 80-pin LPC1758 variant is used.